These Schedule 40 PVC Check Valves are designed to allow flow in one direction only. 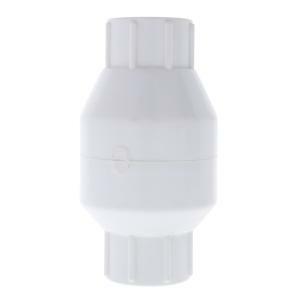 These check valves have slip connections on both sides for convenient in-line installation in a PVC pipe system. The durable PVC construction is corrosion resistant with stainless steel spring and EPDM O-ring seal. Available in 3/4" and 1" slip sizes. Slip connections require primer/glue.